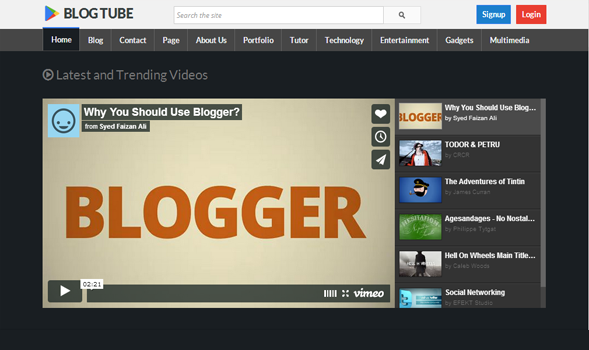 BlogTube is a Professional Responsive Video Blogger Template designed for video sites, video blog video portal. Responsive Design: It is highly responsive, which means it supports the majority of screen High quality and normal screen resolutions. We have tested it on iPad, iPhone, Android and other similar devices. It gives just perfect results. 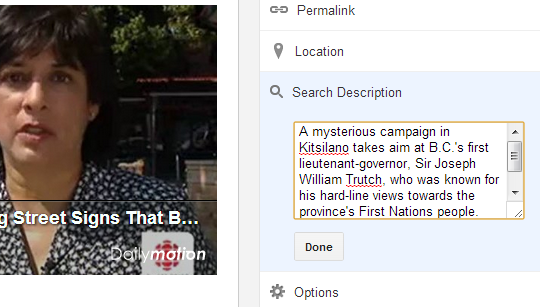 Auto YouTube and Dailymotion Thumbs: We have developed a script that fetches thumbnails of your videos automatically. Which means, you don’t have to upload images to show thumbs at home and other pages. This feature saves a lot of your time and provide a lot of comfort. Featured YouTube Videos via Labels: You can display featured videos on the homepage with the help of Labels. Note: it only works with YouTube videos, so if you have any Dailymotion video in the same label then it is less likely to work. Video Views Counter: Like every other video hosting site, we have added views counter which would appear just beneath the videos. It works on pageviews so, whenever someone would reload the page it would increase the number of views in the counter. SEO Friendly: Most of the video hosting sites are less likely to be Search engine friendly. Therefore, we have used some of the top notch plugins to increase and polish its on-page SEO. More Features: Magazine Style, Multi-Drop Down Menu, white color scheme, threaded commenting system, 3 column footer, 2 column template and much more. To show videos, you have to copy and paste the Video embed URL in your posts. However, it only supports automatic thumbs feature for YouTube and Dailymotion. How to Add Description in Videos:? In your videos you might notice a text called "Description"? Well, we have added a technique through which you can show the meta description of you videos not only to search engines but also to the human visitors. 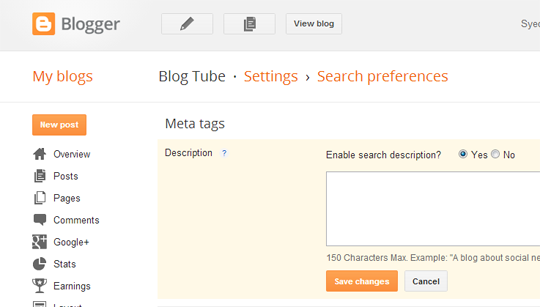 To enable this feature go to Blogger ›› Settings ›› Search preferences ›› Description ›› Yes ›› Save. Now while writing new posts make sure to add "Search Description" to show it in your posts as well. Now on finding the above code you will notice a couple of Vimeo Video URL, replace them with either Vimeo video URL or YouTube video URL and save your template. Now either replace "Feature" from the following coding to a keyword that you want to use as a Label so show up posts in this featured area. On second thoughts, you can tag your posts with "Feature" label and those posts would start appearing. Note: This feature only works with YouTube Videos. After releasing Videoism, we got thunderous requests from our users to develop a professional theme for Video based sites, so this theme is a reflection of all those requests. We hope this template would fulfill all the needs which were asked by our users. Do let us know your thoughts about it.